We started as usual by drinking the wines on their own. The TTD from Sainsbury’s was the winner here. The cleaner, the crisper, the easier tastes of pear and apple, with plenty of acidity in the finish. A lovely clean Prosecco. The La Marca C-V was good, don’t get me wrong, but I reckon they’d tried something a bit different here. All of us noticed a bit of yeast in there. Maybe a bit of toast? Something like that. Ale reckoned the wine maker will have left the yeast in the tank for a few months maybe, so you do get a little bit of yeast breakdown into the wine. 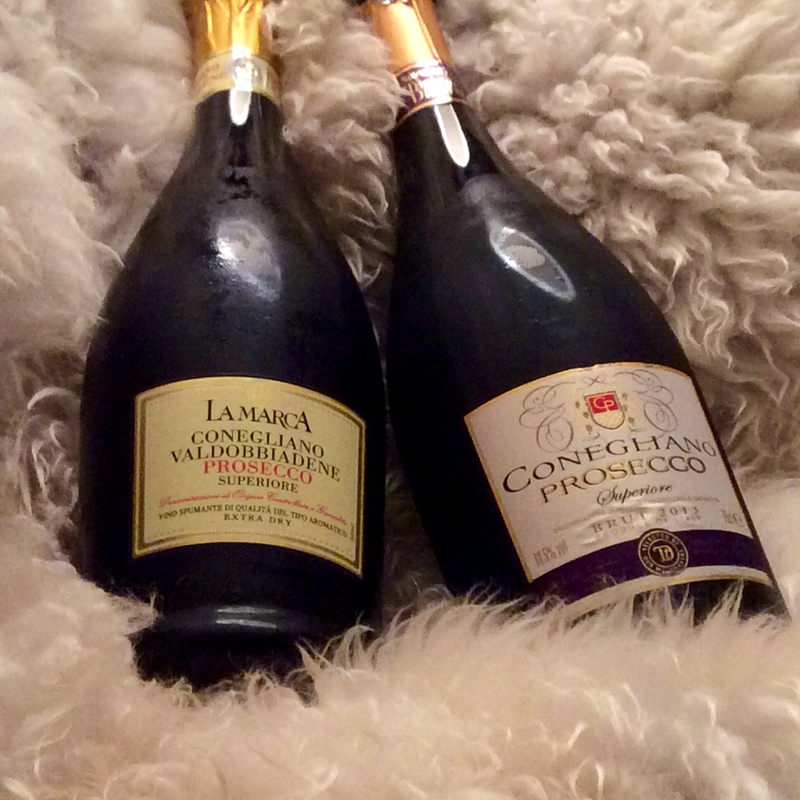 Not what you’re expecting from Prosecco, but sometimes it’s good to be different. The La Marca had slightly warmer fruits in there. I got peach and red apple smells, but the extra complexity kind if stunted the cleaness of the finish. Then came the risotto, finished off with a good chunk of grated parmesan and butter. Both wines gave a great lift to an otherwise heavy dish, but I have to say the extra complexity of the La Marca really came through in spades, and matched the big flavours in the risotto much better. So, on it’s own or for drinking with snacks, go for the TTD. With food it’s all about the La Marca. Both getting a (very high from me) 15/20.